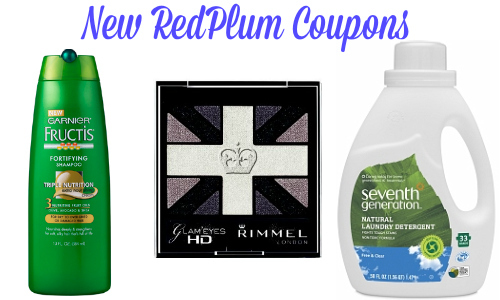 Take a look this week’s new RedPlum printable coupons! You can save with new Garnier, Seventh Generation and Rimmel London coupons. Redplum is a great place to find tons of coupons for groceries, personal care items and pharmacy products. Check back every Sunday for more! Tip: Don’t forget, you can print each coupon twice!